Hampshire Down Huts, inspired by the traditional hut once used locally by shepherds while rearing Hampshire Down sheep. We are a small family business based on the Wiltshire/Hampshire border with a background of joinery. We have our own workshop producing joinery for customers and also traditionally styled parts for our huts and buildings. We care about what goes into making a hut that will last for generations. The huts can be tailored to your requirements, to become anything from a guest room, home office or a place to start your own business. 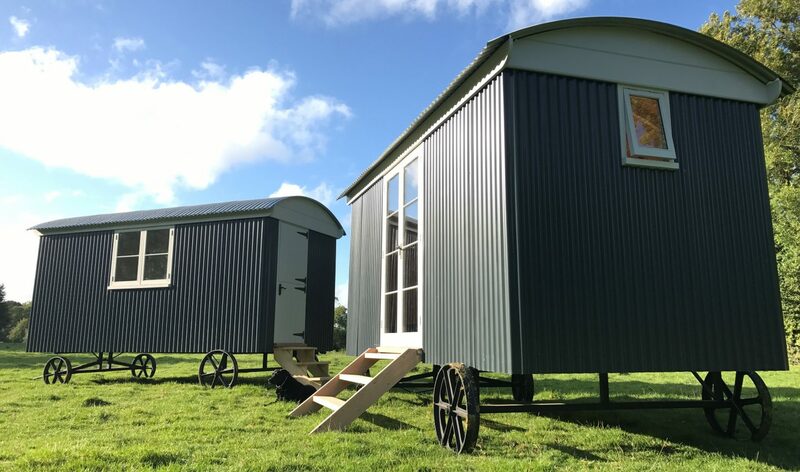 We have supplied huts for glamping sites as far away as Scotland, some customers just want a shell to finish themselves, others want the complete packages, however we are happy to supply either. Our kits are self-comprehensive for any competent DIY person to assemble themselves. In addition, we can supply traditional windows with modern features such as draught strips and double glazing. We don’t restrict ourselves to huts and are happy to make garden buildings to order using modern technology alongside old world methods and materials.